How to Start Your Research in the Library? When you are surfing the Web for news, sports, weather and entertainment, you may not be aware of how much material is available, and how much poor quality or irrelevant material is posted online. 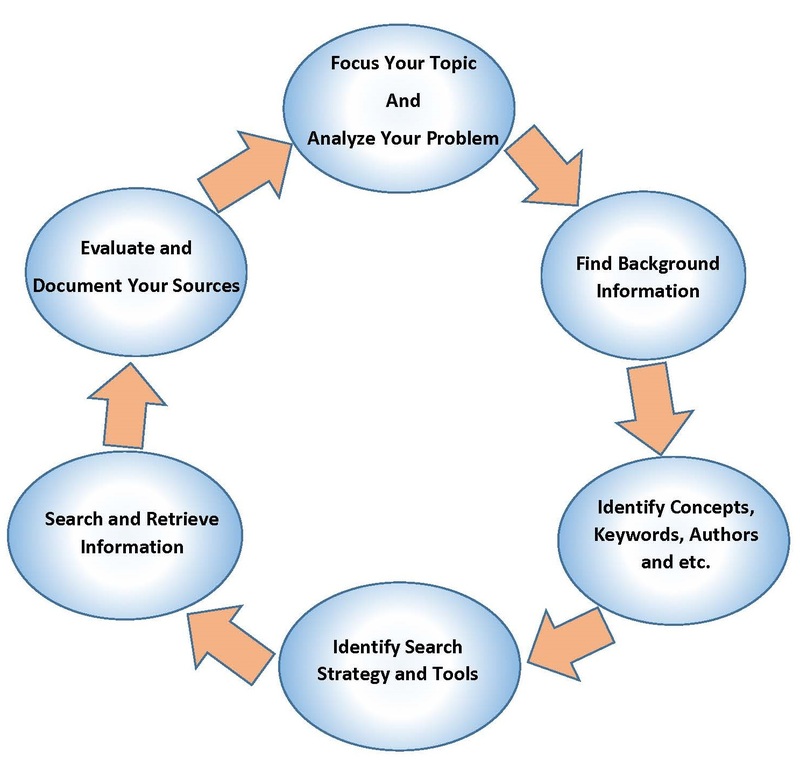 Try these six steps of the library research cycle below for a simple and effective search strategy to find reliable information for your research paper, project or presentation. Depending on your topic and your familiarity with the library, you can adapt this outline for your needs.